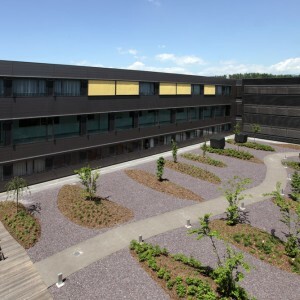 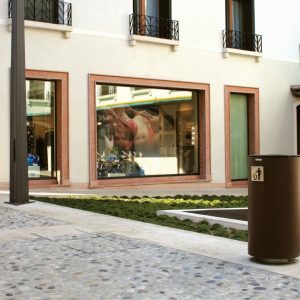 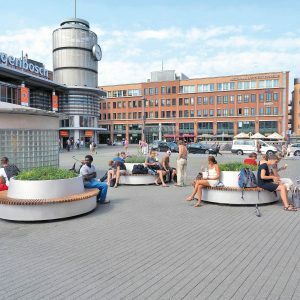 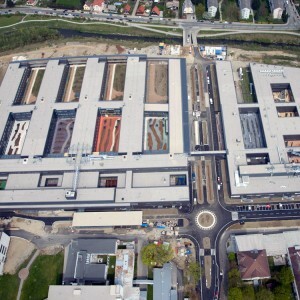 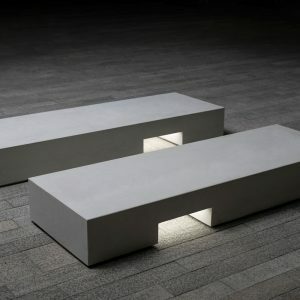 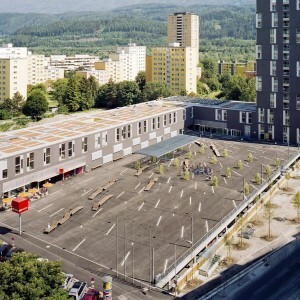 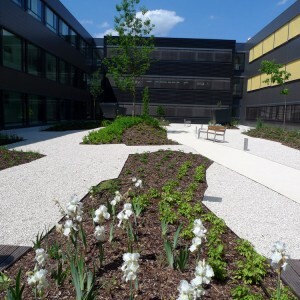 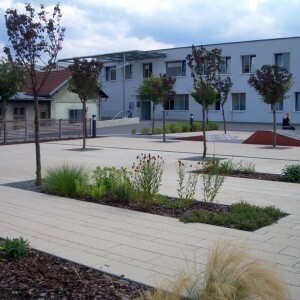 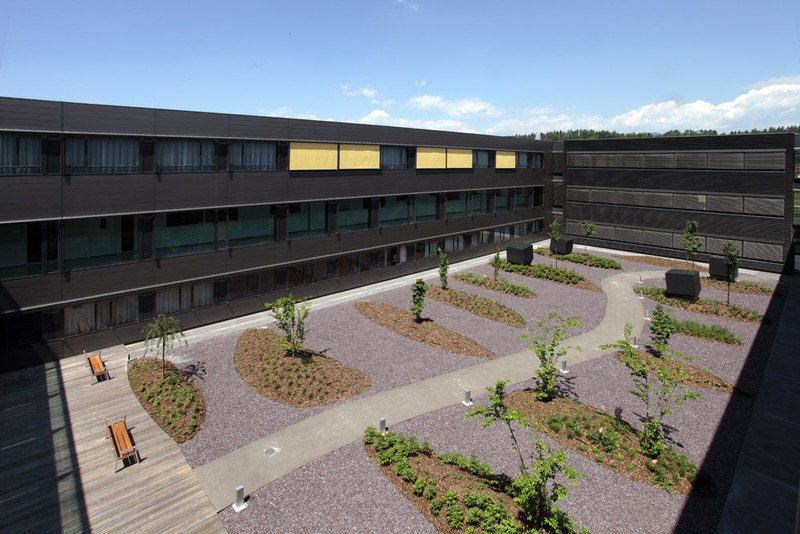 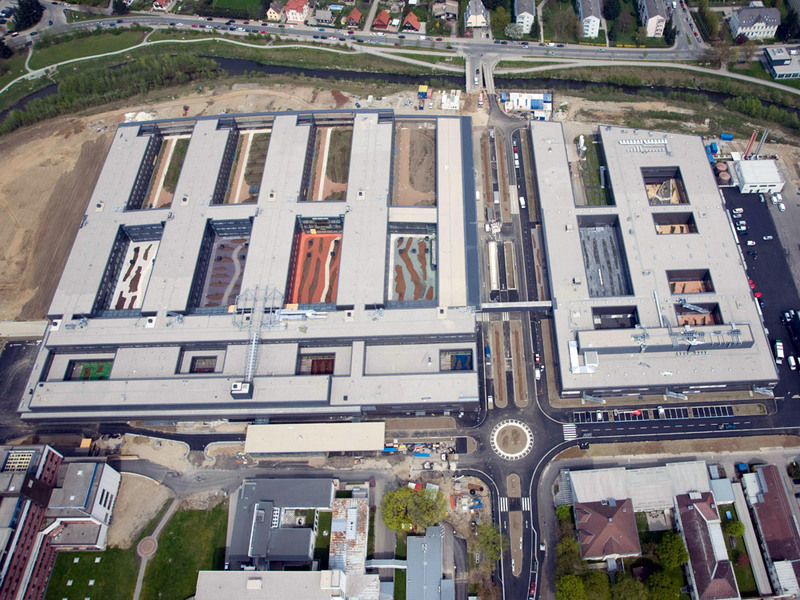 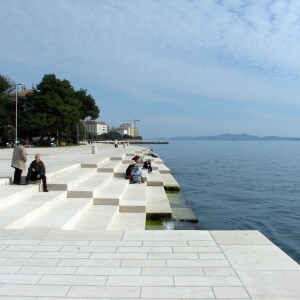 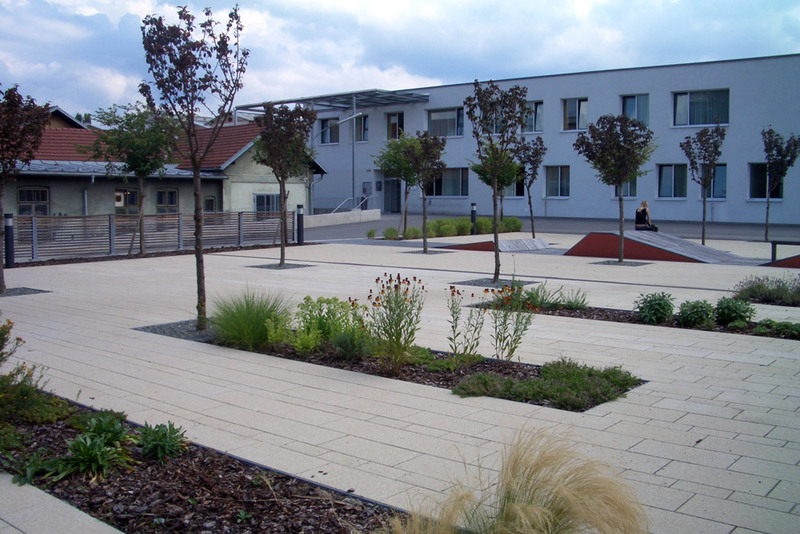 Idealice: The grounds of the regional hospital in Klagenfurt are divided into extensive parkland and courtyards. 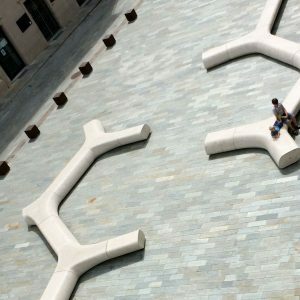 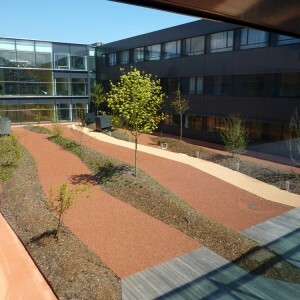 The western, southern and northern parks form the transition between the river area and all of the 19 inner courtyards. 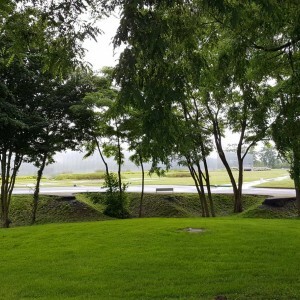 Based on the natural habitat, wild varieties of tree species (a different leading tree species in each yard) typical for the river landscape, were planted in the northern park and courts, while in the southern courtyards decorative plants were used. 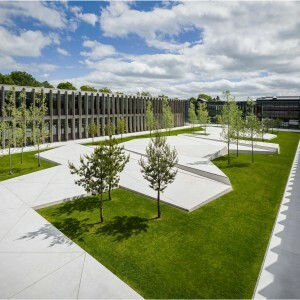 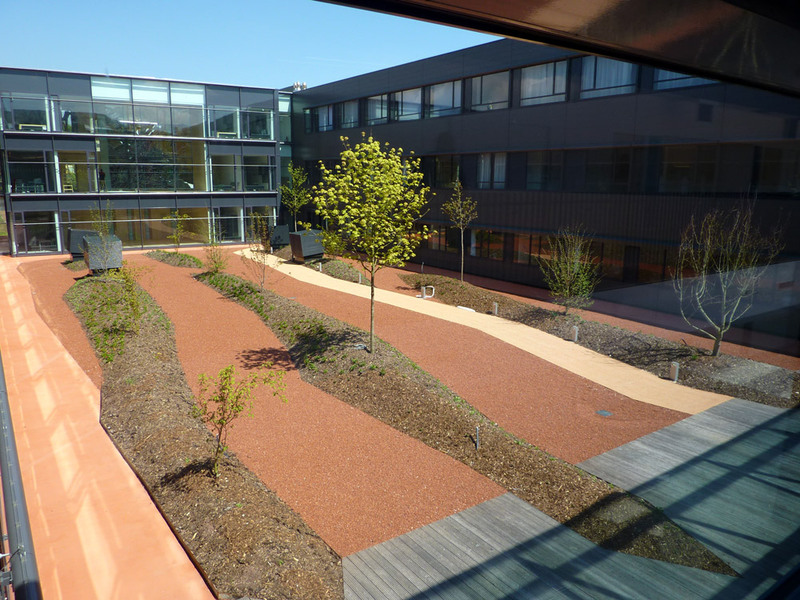 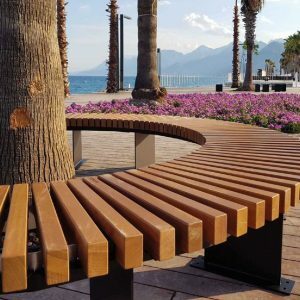 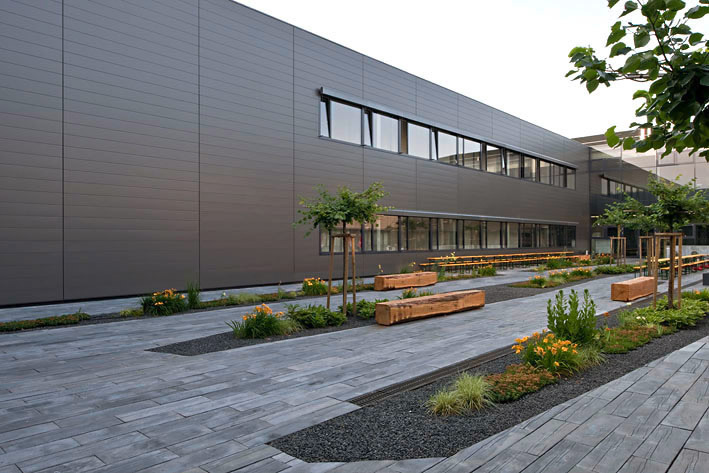 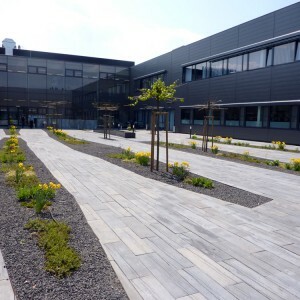 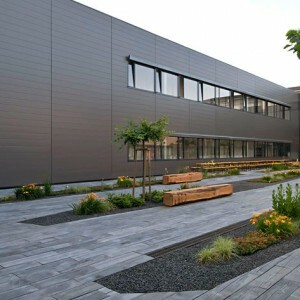 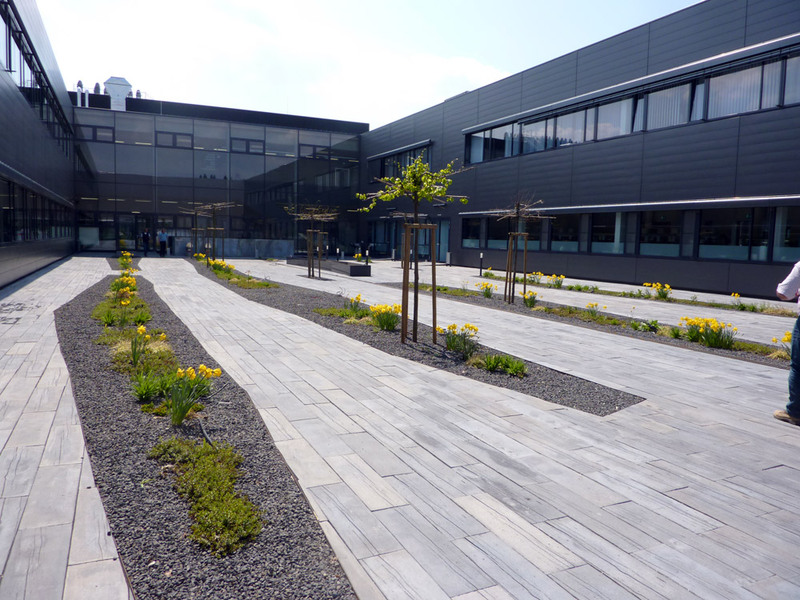 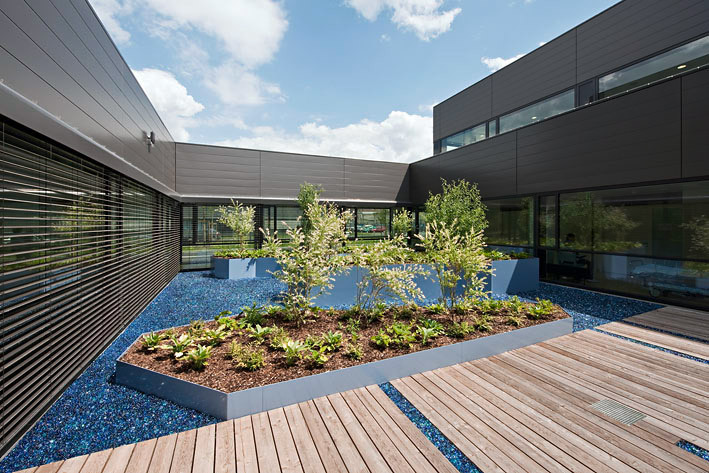 The open spaces of the LKH Klagenfurt NEU are called “Arboretum Klinikum”, due to the thematically structured collection of tree species and bush species of different origins. 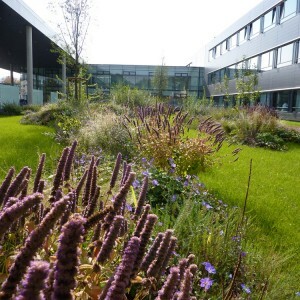 The choice of trees and shrubs was made jointly with medics in order to avoid allergies. 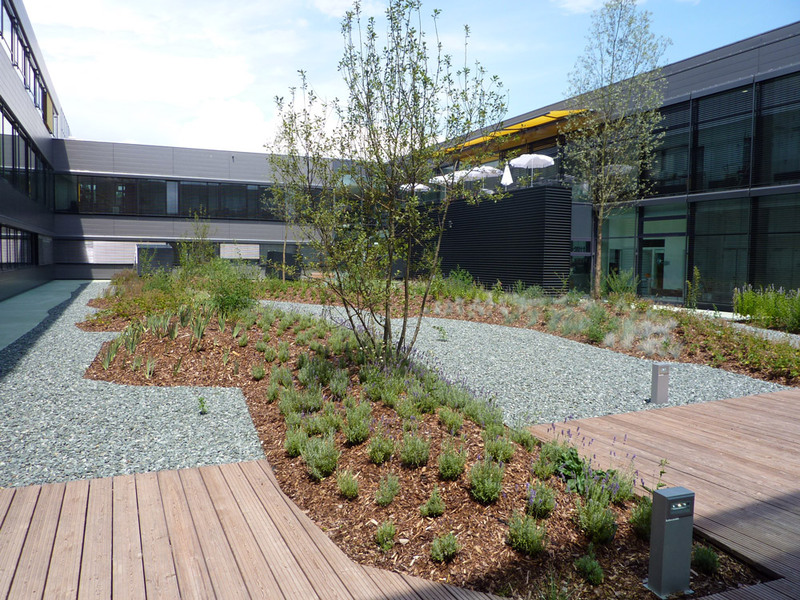 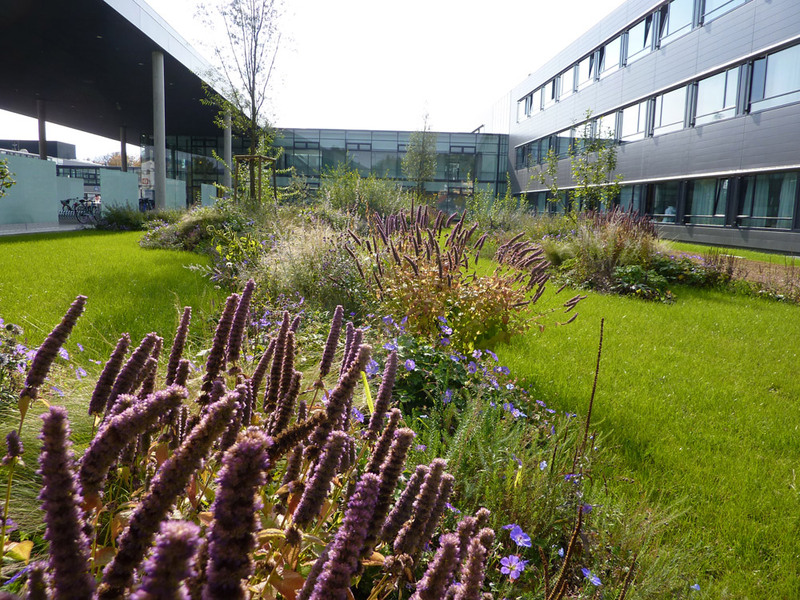 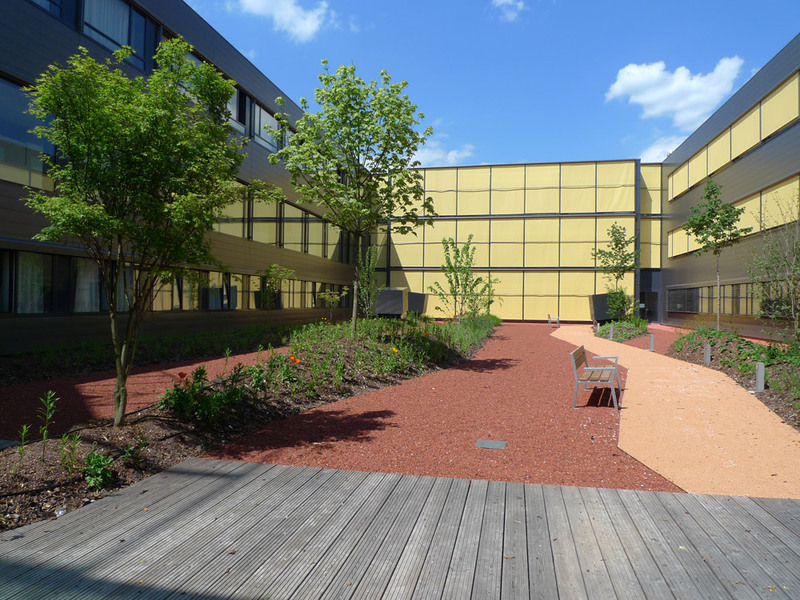 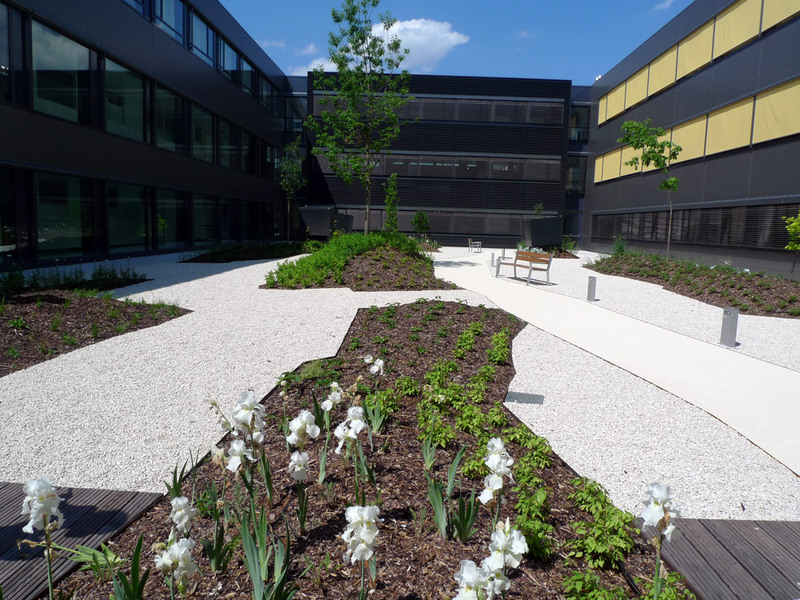 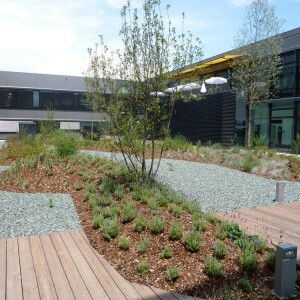 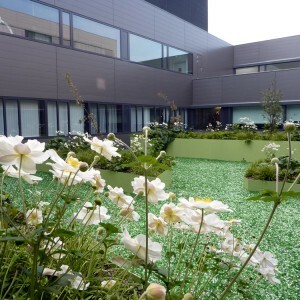 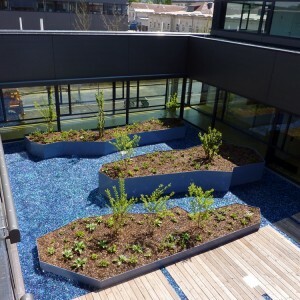 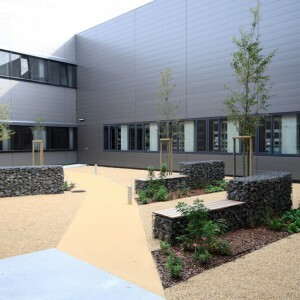 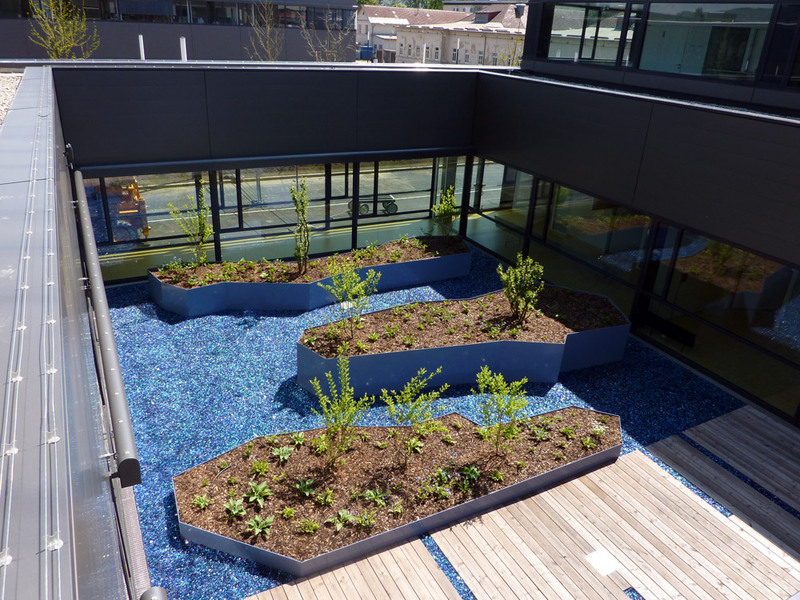 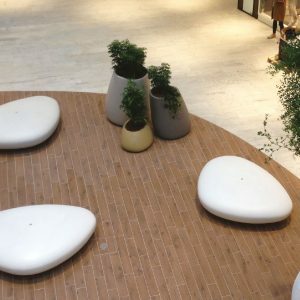 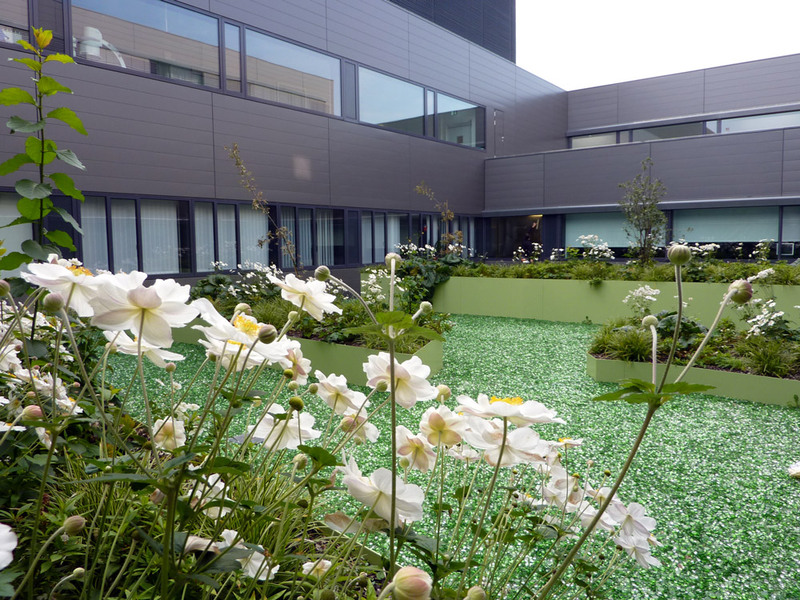 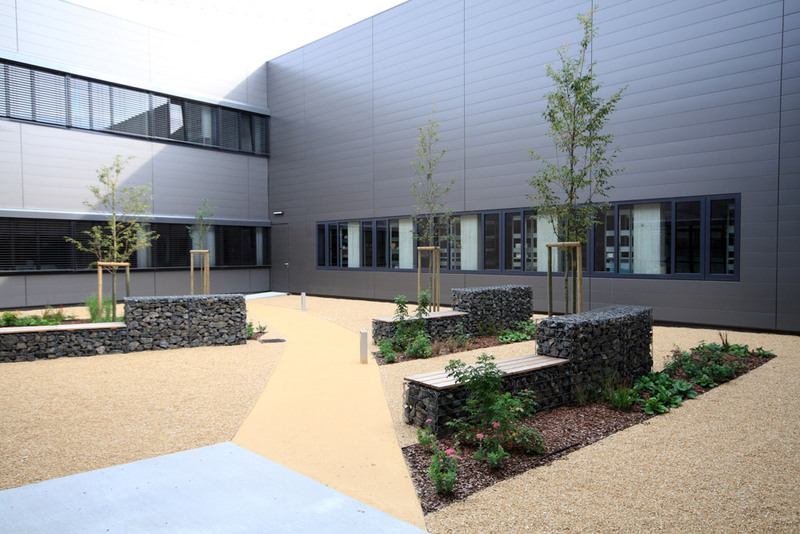 Each courtyard prevails a different flowering colour that offers visitors, patients as well as the staff better orientation in the hospital complex. 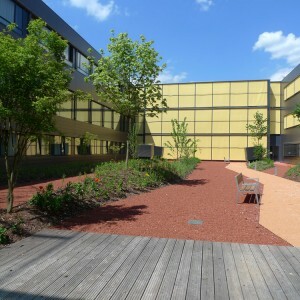 The courtyards also feature different leading tree species such as oak, maple, cherry, willow, lime and wild fruit. 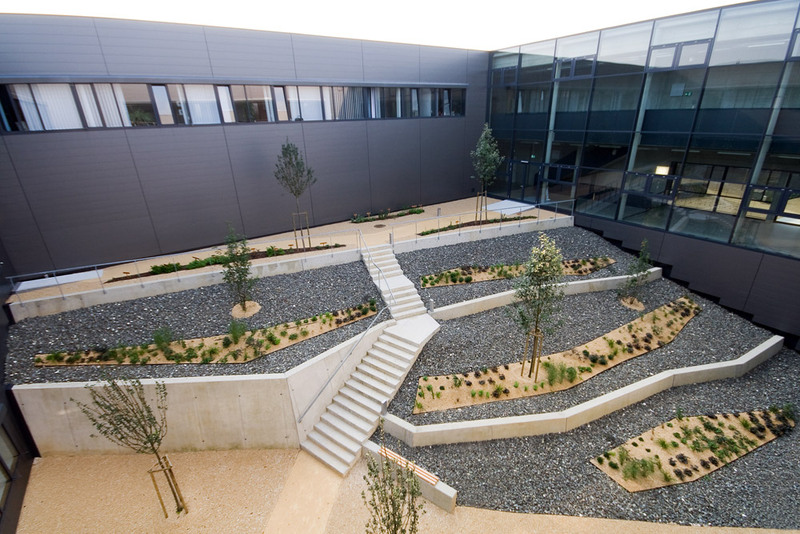 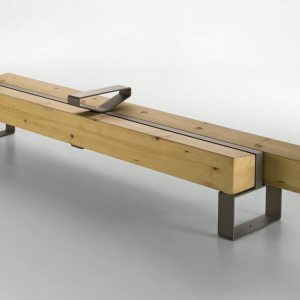 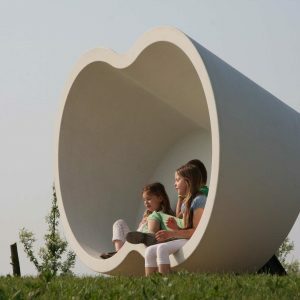 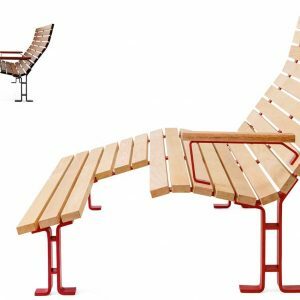 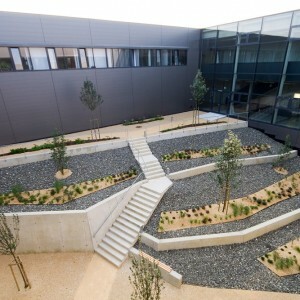 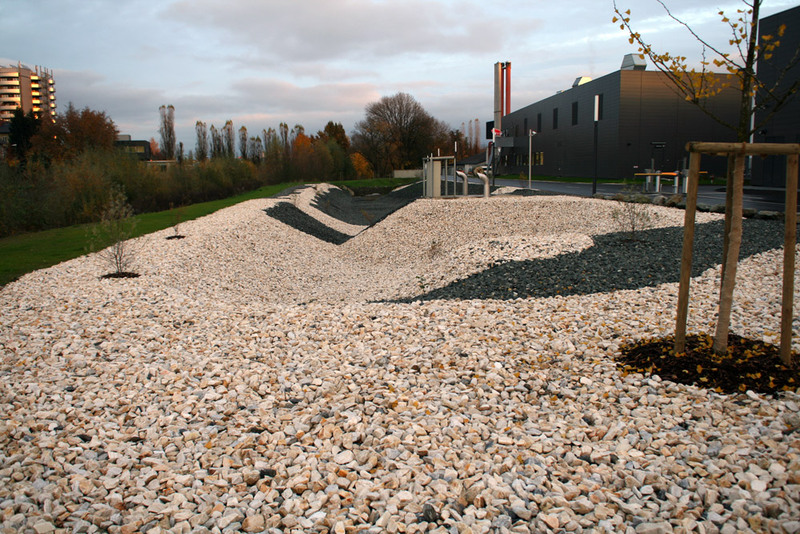 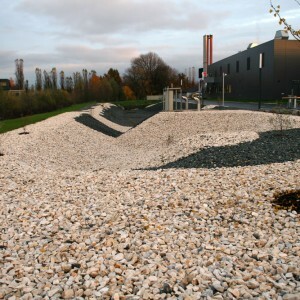 The forms of the hills are based on the shapes of different tree barks, that were used in the concept of “Aboretum Klinikum”.